With the plethora of foundation types available in the market today, you are probably one of the many who are having a hard time finding out and deciding the best foundation to use on your makeup routines. Foundations are important since they pretty much determine from the outset whether your makeup would blend well with your skin or not. There are also other equally vital factors to consider such as the known long-term damages and other negative effects that many foundation types are prone to inflict on the skin if they are improperly applied. This is why taking the time to research and ask for expert advice is the best way to go. If there is one foundation that could be readily recommended, though, most learned makeup artists would probably suggest using loose or pressed natural mineral foundations. After all, it is not for nothing that mineral foundations are making such a buzz in the world of cosmetics for being one of the most efficient natural cosmetics. For a start, it is one of the safest (if not the safest) foundation types that you can use on any skin type whether it be oily, smooth, youthful, or mature. Virtually all of the known harmful chemicals (artificial fragrances, oils, etc.) that other foundations have are absent from mineral foundations. They are also one of the easiest to use Besides these benefits, here are the other advantages of using organic mineral foundations. One of the first worries that you probably have when deciding on the type of foundation to use is if it has right shade for your skin. After all, choosing the wrong shade simply won’t do, and is only bound to give your skin a very unnatural look. With mineral foundations, though, there are practically all kinds of color shades available for any type of skin tone. The depth of color is usually graded from 0 to 9. 0 being the best one for those with very fair skin, and 9 for those with ebony to dark brown ones. If you have a mild skin tone, then it’s best to use the ones in the middle (3-6). When applied correctly, all of these shades will give your skin the right kind of shine it needs to highlight your inner complexion. 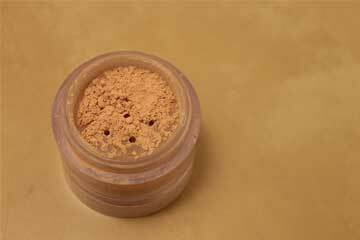 Because of its natural ingredients, mineral foundations also flaunt your natural skin tone and look. So besides being compatible with any type of skin tone, this type of foundation also exposes your ethnic beauty and gives it its much-needed shine. And, as many makeup artists would probably agree, nothing beats looking your natural, radiant self. Imagine getting all of the positive effects of makeup, without the risk of any of its known detrimental effects. Only natural mineral foundations can make such a lofty claim and actually back it up, because it is one of the few foundations types out there which actually has a longer lasting positive effect on your skin (i.e. scar removal and healing). Research has also proven that mineral foundations can do good on your skin (health-wise) as well, besides making it look good. This is because it has been found to keep the moisture levels of the skin stabilized due to its zinc oxide content (an ingredient found in many moisturizers and sunscreens); giving your skin that healthy look which only serves to better enhance the way you look. And, of course, with a skin that is kept in proper condition, you would have fewer acne and other skin outbreak worries to think about as well.